My Hinduvaad is better than your Hindutva?My Hinduism beats your Hinduism hollow? Your Hindutva promised a Ram Temple at Ayodhya my Hindutva will actually build it? Has the Bharatiya Janata Party finally succeeded in putting religion on centre stage in the largest democracy in the world? Has the Congress been forced to don saffron (actually Blue since the colours of Lord Shiva are BLUE) to outsaffron the Saffron Pariwar? In effect has Rahul Gandhi been forced to drink the Halala, the poison that flowed out of the churning of the Ocean of Milk, in this political churning? So what happens to secularism? Equality for all irrespective of caste, creed, sexuality or religion (or colour and calling)? Is Nehru’s, Patel’s and Gandhi’s India effectively dead ? Is there space anymore for Rafi Ahmad Kidwai, Asaf Ali, Maulana Azad? The Shiv Bhakta line may work very well with the cheap seats; as does the “gali-gali mein shor hai chowkidaar chor hai”…but is that the Congress today? The same Congress that accuses the BJP of making all public discourse divisive and abusive? Where is the secular space for an aggressive assertion of the Congress President’s Shiva Bhakti? Or by his “CHOR” (thief) epithet for the Prime Minister? This is a battleground tailormade for the BJP! The Congress can only lose itself, its ideology and its alleged moral superiority (in terms of the language of public discourse) to a rival far more seasoned in the art of division, diversion and distortion! Even if Rahul Gandhi’s new cussed and cursing Congress wins a few more seats it would have lost its soul in the process! When I first posted this bit on Facebook I thought I was joking; but sometimes jokes, like curses, also come home to roost! 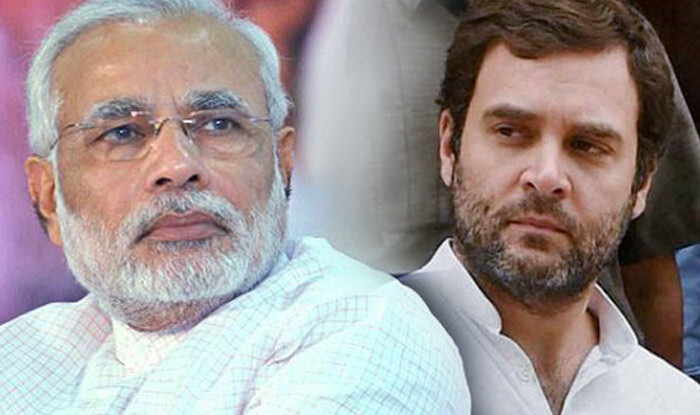 The new Sacred Thread Showing, Shiv Bhakta Swaggering, Cursing and Brawling Rahul Gandhi could be far more dangerous for the soul of the Congress than even Narendra Modi! If the Congress President is swaggering, swashbuckling, swearing Shiva Bhakta where does that leave that much abused and neglected community that formed the backbone of the Congress Party that India used to swear by and not swear at …the secular patriotic Indian? That proud liberal soul who believed in Nehru’s vision, Patel’s strength, Azad’s sincerity and Gandhiji ‘s Ahimsa? That secular soul of the Congress is now being asphyxiated by the swearing, swaggering, swashbuckling, sacred-thread bearing, born again Shaivite suckered into a battle between Hinduvaad and Hindutva! Will the Congress survive this new chokehold from its own President? It will…but will suffer a transmogrification that may never see the old Congress’ resurrection!